"SPACE AND LIGHT AND ORDER. THOSE ARE THE THINGS MEN NEED JUST AS THEY NEED BREAD OR A PLACE TO SLEEP"
JUST AS THEY NEED BREAD OR A PLACE TO SLEEP"
DOVE architecture & interiors are a RIBA chartered architects and interior design practice in Cheshire. A vibrant and growing company with an impressive reputation to equal its high standard of design. DOVE have a wealth of experience in a variety of projects of all scales & budgets working throughout Cheshire, the Northwest and Wales. From small scale house plans, planning applications, right through to large new builds & commercial projects. DOVE will listen to your needs and dreams and present you with inspirational design solutions that you can envisage through their state of the art 3D drawings. Our work is informed by a great understanding of history and place, often taking these memories of the past and using them to create fitting amendments or new creations. Our work is contemporary in its nature, and thoughtful. It seeks to explore the physical and cultural qualities of places through investigation and observation. The results combine originality with sensitivity and are responsive to the context and environment of the setting. Listening to our client’s needs and desires and understanding how they live and work are the most fundamental building blocks to our designs. Once we have captured this, we work with our client to exceed their expectations. Working regularly with a number of local developers and companies to ensure that their vision is followed through from inception to completion. We can offer as little or as much assistance as required be it a quick feasibility study to test out a site, to ensuring your new office building is delivered on time and budget. DOVE architecture & interiors Ltd is a vibrant and dedicated RIBA chartered architects practice based in Cheshire. 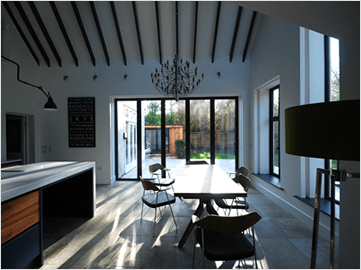 Our Architects and Interior Designers have a rich track record of working across projects of all scales and budgets from the small permitted development house extension to multimillion pound housing and commercial schemes. We work throughout Cheshire, the Northwest, North Wales and The Isle of Man. The practice was formed in 2012 by Derry Vaughan Edwards following eight years as an associate at award winning practice Stedman Blower Architects based in Surrey. Here she gained a wealth of experience working on high end residential, listed buildings and education projects. However, her love of the North and rural Cheshire brought her home to set up DOVE architecture. She was joined at DOVE in 2013 by her husband James Morris and together they have developed the company into what it is today – a highly regarded design led studio, with a good reputation amongst the local planning authorities and builders. 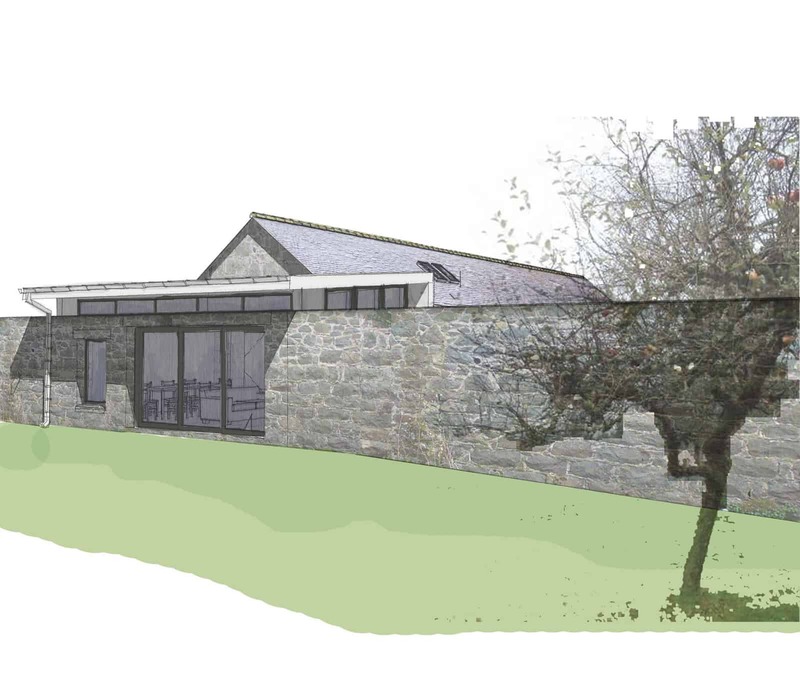 DOVE has extensive experience of working with both contemporary and traditional buildings and have a particular interest and knowledge base in working with listed buildings. We are very interested in sustainability and try to integrate this into all proposals however big or small. We believe good design comes from challenges; be those site, budget or planning restraints. Skilled at producing beautiful designs, both interior and architecture, under a variety of budgets, styles, timeframes and needs. DOVE guide their clients through every phase of the design process and are committed to cultivating valued relationships, helping clients to exceed their vision. DOVE’s passion for design and good service is reflected in the attention to detail given to each project undertaken. Derry Vaughan Edwards is founding director of DOVE architecture & interiors, forming in 2011. 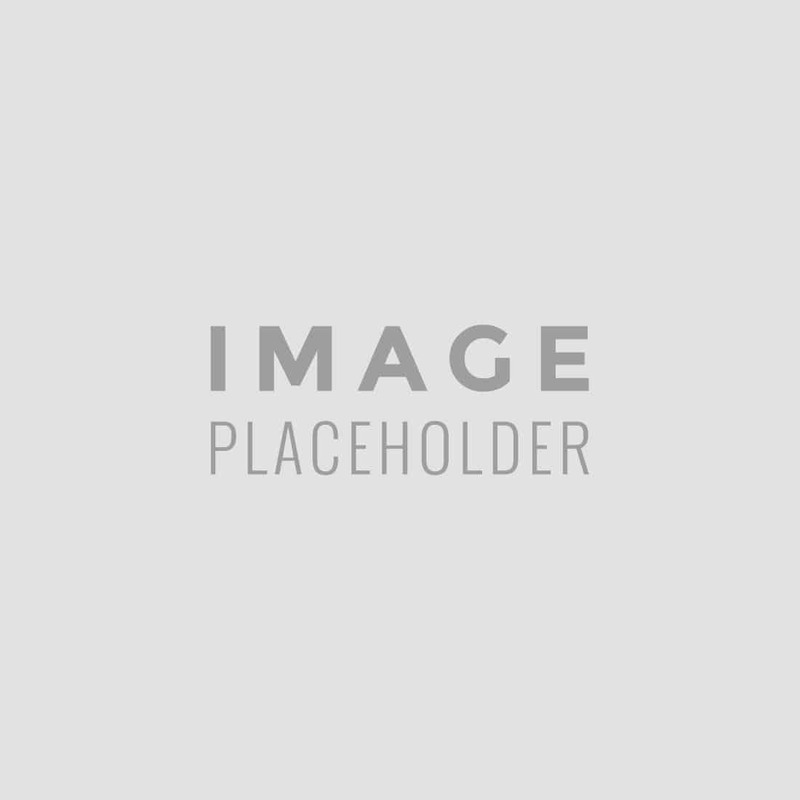 Derry has over 15 years design experience, working in both Cheshire and Surrey for highly regarded practices. At DOVE Derry is the key director looking after new business, design ethos, planning strategy and on site works. Derry has significant experience in working with listed buildings, most recently having achieved Listed Building Consent for new dwellings on the site of Lymm Hall, a Listed Building and Scheduled Ancient Monument. Derry Has a love of the Cheshire countryside where she lives with her husband James and their three children; that frequently drive her to drink! James Morris joined DOVE architecture & interiors in 2012. James has over 17 years of experience working for architectural practices both in the North West and Surrey. His experience ranges from working on large commercial schemes in central London, to ecclesiastical buildings in rural Surrey and high-end residential. James is the key director for technical delivery, ensuring all projection information is produced to a high standard and consistent quality. 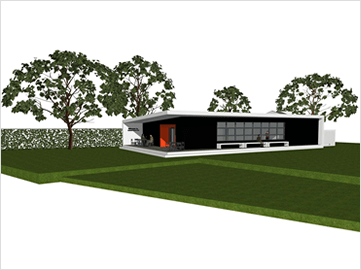 Ensuring that design ethos established through the concept stage runs through to the technical drawings. James also has hands on experience of actually building, giving him a great understanding of how things are put together and cost saving ideas. 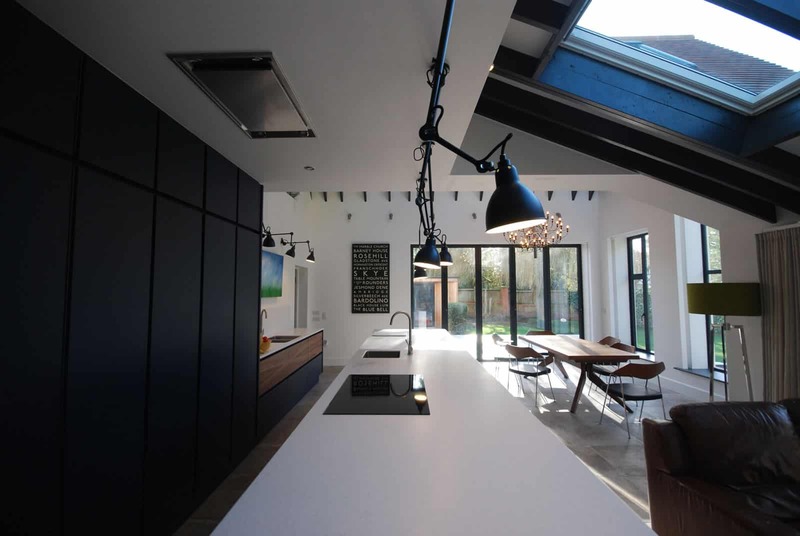 He has undertaken both property development and also self build projects in Cheshire. James is a keen gardener, most recently creating a 1.5 acre garden from a field, and what better way to relax in the garden than a nice cold beer! Carly qualified as an Interior Designer in 2005 and has over 12 years design experience. Specialising in retail and residential sectors, Carly is an experienced and innovative designer striving to create unique interiors focusing on functionality and solutions. Skilled at producing beautiful designs under a variety of budgets, styles, and timeframes, Carly forges valued relationships with clients that allow her to truly exceed their expectations. Carly’s greatest loves in life are her family (obviously), architecture and design (tick) travelling to new places and animals -most notably dogs (and rescues at those!). Carly is still trying to decide which is easier to train – an ex Cypriot, food mad, hunting dog or 2 strong willed young girls? The jury is out and so is the Gin! Knowledgable, friendly advice from Derry, who was sympathetic to our ideas, resulting in great plans! We’ve had loads of compliments on our extension which is such a versatile space now and has added value to our house! Thank you! DOVE took time to listen to our needs. We were very pleased with the end result and the extension has made our house a fantastic home. We would definitely recommend DOVE architecture. Derry listened to what I wanted and I think handled the brief very well. 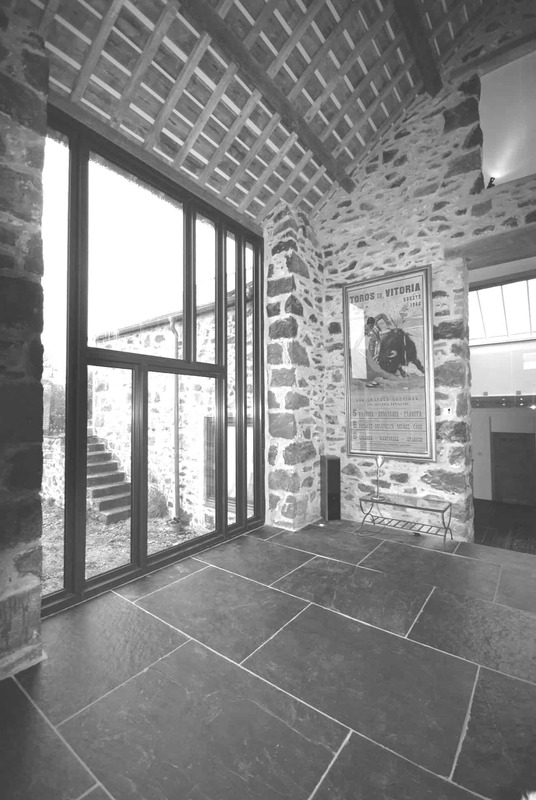 I have worked with a number of architects on projects both here and in the Cotswolds over the last ten years . I found Derrys designs creative as well as being practical in terms construction. So many designers I find are brilliant with sketch ideas but when your builder comes to the construction phase creating them can turn into a nightmare. I would also compliment Derry and James on their construction drawings which we found easy to follow and contained plenty of construction notes to aid the build process. I had never undertaken any building work before, but was considering a small extension to my bungalow. Didn’t know how to begin the project, when builders (Dickens and son) fortuitously began work on small extension on a bungalow across the road from me. Dickens and Son recommended Dove Architecture saying that they appreciated Dove Architecture’s very detailed plans. Although a small project, Derry from Dove Architecture really made the most of the space available, obtained building regs, and made the whole process very easy. I am really delighted with the end result and would highly recommend Dove Architecture (and Dickens and Son Builders). james provided us with a very professional service. He was always accessible and responsive, and ready to amend various drawings as soon as requested. 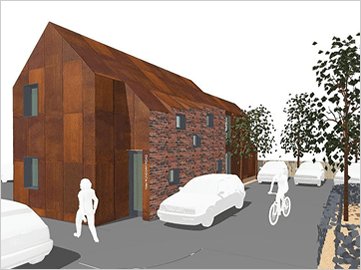 We have recently appointed Dove Architecture to help us with a rear single story extension. We have been very pleased with their service and knowledge so far. Very pleasant and straightforward to work with and good design ideas. Many thanks for your prompt and efficient service. Initial drawings received within one week. Thank you. Just wanted to say the lounge looks fantastic. Really pleased with it. Thank you again, your designs are truly inspirational.